The Australian Government has now expanded the major rebuilding work being undertaken on the National Carillon to include the casting and tuning of the largest semi-tone bell. 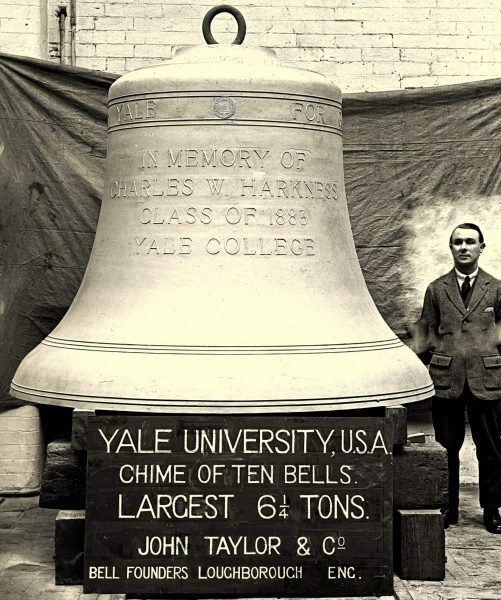 This was omitted when the carillon was manufactured by Taylor’s in 1971 due to cost considerations, but will now be added to complete the instrument. The cast bell will have a diameter of 6′ 9″ and will weigh approximately 6.5 tons, after tuning the bell will weigh in excess of 5 tons. To cast such a large bell we will have to recommission one of our wall furnaces, which have a total capacity of 25 tons. The new bell will be cast in the second half of this year. The photo above shows a similar sized bell that was cast here. It is worthy of note that Taylor’s have probably cast more heavy bells than any other bell foundry, with more than two hundred bells from Loughborough weighing between 2 tons and 17 tons – and, unlike other bell foundries, all of them have been cast here and not farmed out to other foundries!